Next month’s Global Affairs Speaker Series event on campus has an even more pronounced Pearson College UWC connection than usual. Biology teacher Christie Johnson is co-founder and a key part of the dynamic team that has been working diligently on a project to improve education for girls in Malawi – the Atsikana Pa Ulendo (APU) or, Girls on the Move school. She and Malawi-based co-founder Memory Chazeza Mdyetseni are scheduled to deliver this term’s third Global Affairs Speaker Series event on Thursday, 18 October. “There are many, many connections between this College and Atsikana Pa Ulendo that people may not know,” said Christie, who also serves as APU – Malawi Education Foundation Executive Director. Over and above the many in the Pearson community who have supported the original 2006 initiative to establish a girls’ school in a rural area northwest of the Malawian capital of Lilongwe, faculty members have volunteered to sit on the school’s board of directors and designed the institution’s original website, she added. 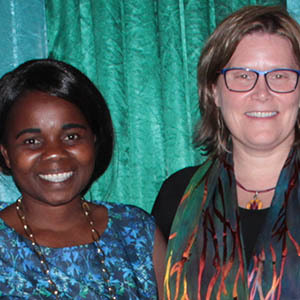 Christie met Memory, who is on a Western Canadian speaking tour, when she was teaching at a different Malawian school during the 1999-2000 academic year and she expanded on the local connection. “We started building in 2006 which was when I was a houseparent (at Pearson). We took four Pearson students to Malawi – we wanted them to have an experience in which they were hosted by families to get a real sense of a girl’s education and why girls had such obstacles to managing to stay in school. 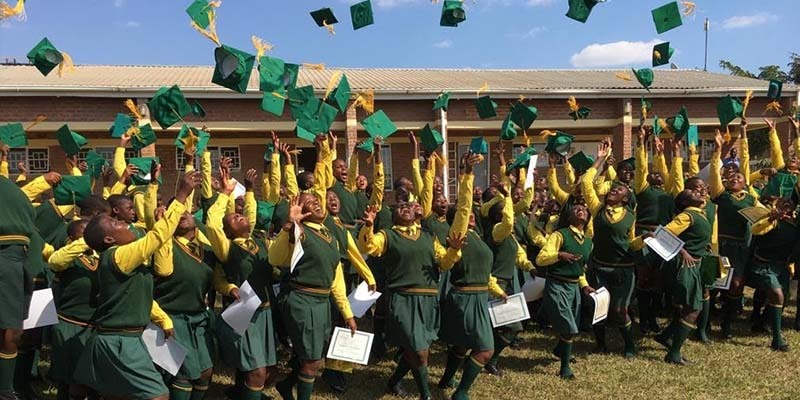 But they did it and the “first” Atsikana Pa Ulendo school opened its doors in 2008. That term – the “first” – may be a topic discussed at Global Affairs next month, noted Christie who, together with Memory, is also keen to share why the focus on education for girls is so critical. “It’s because they don’t have equal access to education. There are schools – some good schools – in Malawi. But, the girls, particularly in rural areas, you’ll go into a school that has 100 students in grade 1 – 50 boys and 50 girls. They start out equal. Already by standard 2, the girls are dropping out and by the time they’re in standard 5 and 6, if you have a class of 100 (standard), there will be 10 girls left. Watch for more inspiration and information about Atsikana Pa Ulendo in next month’s Pearson College UWC eNews!